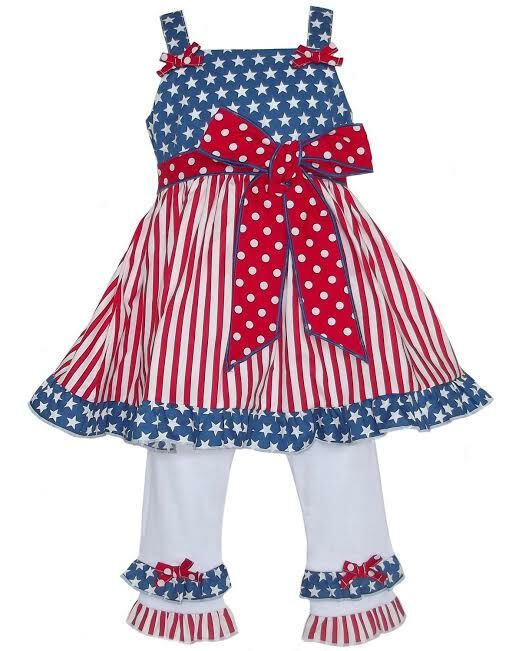 A girls 4th of July dress and capri legging set from AnnLoren is the perfect choice for such a special day and not only. The stars and stripes woven cotton dress is bow accented. It has red polka dotted sash that ties behind back. White cotton knit capris have coordinating ruffles and an elastic waist for comfortable fit. Made from quality material.